Outdoor retractable screens offer the perfect mix of functionality and elegance. With sleek integration, insect protection, easy automation that is designed to last, and more control over sun, rain, and wind, these screens are an investment that keep on giving. Increase your home’s value and gain energy savings with beautiful outdoor retractable screens. Our easy-to-operate retractable screens can be custom designed for almost any opening around your home. Whether you’re considering retractable screens for your windows, balcony, doorways, ground level patio, or anything in between, we can install a top-of-the-line system that will last decades. 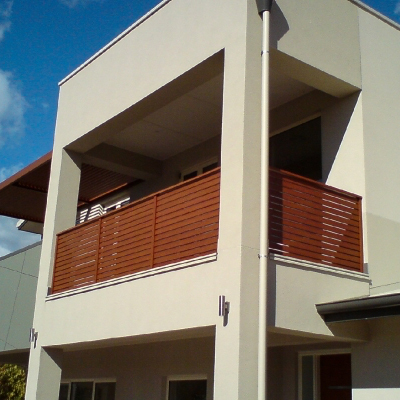 Custom-Fitted Screens – Virtually any opening can be accommodated with retractable screens. Windows, doorways, patios or pergolas, we can screen them all. Bug & Weather Protection – Get the protection you need when you need it. Heat and glare caused by the sun, rain, and insects, can put a damper on things. With retractable screens, you can protect your food, block the sun’s harmful rays, and keep your furniture dry. Temperature Control – These functional, sleek screens can help you regulate the temperature on your deck or patio. Window screens can even help indoor temperature enormously! More Year-Round Usable Space – Extend your living space to the outdoors. By screening in your patio area you can instantly create another usable room, regardless of the season. Increased Home Value – We stand behind all of our products at Mr. Cover All, and only carry durable, long-lasting products that we know will compliment any home while adding to its value. Customizable Options – Sun sensors, 11 powder-coated colours to choose from, and mount selection, we work hard to make sure you get the exact screen setup up you’ve always dreamed of. Functionality with Sleek Integration – So often we find ourselves trying to choose between the function and elegance choices, but with our sleek, low-profile screens you can have both. You can get all the functionality without and of the eye-sore. Energy Savings – Let less sun into your home and keep your air conditioner off. Retractable screens are a great way to block powerful ray’s from the sun from entering and heating up your home. Simple, User-Friendly Operation – Operating our retractable screens is as easy as it gets. With push-button controls that allow you to effortlessly adjust your screens, you can control the temperature on your patio or deck. An Addition That Will Last for Years – It’s not just the high-quality materials that make these screens so dependable. Our expert team of retractable screen installers go above-and-beyond to ensure your screens are installed properly. There really are endless benefits to having retractable screens installed. The state-of-the-art technology and heavy-duty construction mean less maintenance and hassle, and more relaxing while enjoying your new purchase. Designed to fit your home and lifestyle perfectly, outdoor retractable screens can transform your outdoor space into the oasis of your dreams. Get your free quote today!